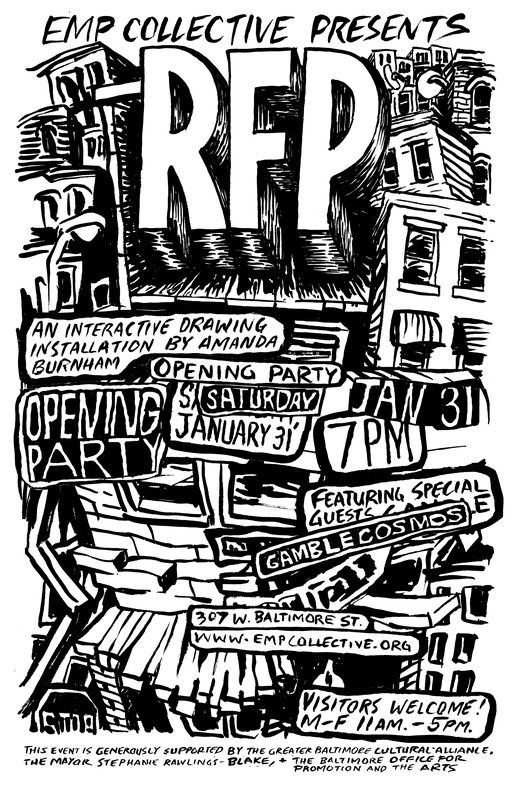 RFP Opens in a Month at EMP Collective! January 31, 2015 – Opening party 7pm featuring special guest Gamble Cosmos! Join us for the opening celebration, or any day, Monday through Friday, 11-5pm to experience and participate in the evolution of the piece!